Venues of Excellence is a unique and diverse organisation made up of industry experts and specialists, dedicated to ensuring that the consortium represents the best independent venues in the UK. Each member of the team plays an important role in ensuring Venues of Excellence continues to live up to its name. David Vaughton FIH is Managing Director of Make Venues, a group of four venues; Woodland Grange in Leamington Spa, Broadway House in Westminster, Technology Hub in Birmingham and Engineers’ House in Bristol, all of which are members of Venues of Excellence. David has over 30 years of general management experience in hotels, conference centres and stadia. Over the last 15 years David has established Woodland Grange as a reputable, high performing venue, and successfully launched the EEF Venues group in 2009, and rebranded to Make Venues in 2019, with responsibility for the growth strategy for the group. 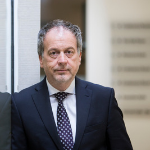 David has been heavily involved with Venues of Excellence over the last 14 years, having served previously as a board director and vice-chair on two occasions. Following the successful rebranding of the consortium, David views its continuing strategic focus as one of growth and promotion of excellence in the meetings sector. A critical driver to underpin the consortium’s continuing success will be return on investment to support members in the achievement of their objectives. Mandy Jennings offers over 25 years sales & marketing experience in hotel and conference centres including senior sales positions with Thistle, Forte & Le Meridien, Marriott Hotels and in particular offers Venues of Excellence her extensive knowledge gained as Group Sales Director for the De Vere Group and Principal Hayley Hotels and Conference Centres. Mandy set up her own company, Paje Consultancy over 8 years ago which now is a successful consultancy and hospitality training business. Mandy is delighted to be working in partnership with Venues of Excellence in the position of Executive Director and is a member of the Board. 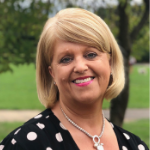 Mandy is responsible for the strategic direction for Venues of Excellence and guidance for all the key functions including sales, venue find service, marketing, signing up new venue members and a full membership engagement programme. Nicola is responsible for researching and targeting new clients and developing the client relationships for the Venues of Excellence members. 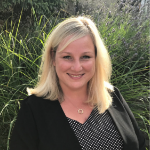 Nicola offers vast experience in sales and the development of new business including senior sales roles for Principal Hotels, Handpicked Hotels, Arcadian, Forte Heritage and latterly she was Head of Sales Development for De Vere Hotels. 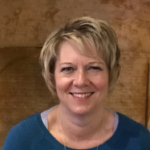 Nicola has worked with Mandy Jennings for the past six years developing new business for their clients and working closely on the training and conference market projects. Joanne’s role focusses on assisting members to increase sales through individually targeted projects whilst promoting the growth of the organisation as a whole. Joanne has been in customer focussed roles throughout her hospitality career. Having started out with Queens Moat House Hotels, she worked her way up from Reservations Manager to Area Sales Manager for London. She subsequently held Director of Sales and Key Account roles within the Forte Heritage and Macdonald Hotel Groups. She also has experience working on various projects, including event management and working for a mystery shopping company, assisting in the assessment of hotel and conference sales teams. Michelle is responsible for the engagement and management of our membership, where she prioritises, nurtures and develops the relationships with our members and the Venues of Excellence team to ensure that the best possible return on investment and member satisfaction is achieved. Michelle arranges member events across the year, along with the Annual Conference. Michelle brings a diverse range of skills to the team encompassing all aspects of venue & event management, international hotel sales and corporate hospitality. 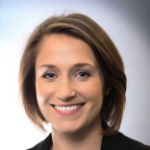 During her career, Michelle has worked in proactive sales roles for Forte, Heritage and MacDonald Hotel Group. Maria is one of our Venue Finding Consultants with a passion for delivering excellent customer service. Maria originally joined Venues of Excellence in October 2015 as Sales Co-ordinator. 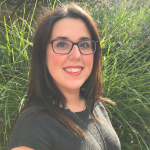 Maria has a degree in Tourism Management and has travelled widely, experiencing the hospitality industry from very different jobs and perspectives. 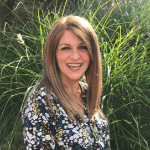 Once settled in the UK Maria progressed at Hellidon Lakes Golf & Spa Hotel, providing experience in meetings, events and customer relationships. Maria is driven by a love for learning and delivering excellence in all she does. She is eager to deal with all our incoming enquiries from clients and support the sales activities placing business with our member venues. 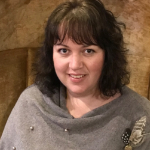 One of our exceptional Venue Find Consultants, Sarah is passionate about really getting under the skin of client enquiries and finding the perfect solution. Sarah has over 20 years’ experience within the Hospitality Industry and shares our passion for delivering excellent customer service. Her career began at The Belfry as a Duty Manager and then as Special Event Sales Manager. She then worked at a well-known booking agency as a Venue Finding Consultant and later worked as Reservations Manager. Sarah then moved to the role of Sales Manager for Handpicked Hotels at New Hall Hotel in Sutton Coldfield. After a career break to raise her two sons, Sarah joined a reservations company in 2015 as Cluster Manager dealing with 4 & 5 star properties across the UK. Annette is one of our Venue Find Consultants and is passionate about providing excellent customer relationship management. 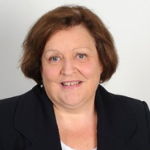 Annette brings with her vast experience in sales and business development within the hospitality industry. Originally from Warwickshire, her career spans over 18 years and began in Event and Conference Coordination for Radisson Edwardian Hotels at Heathrow. 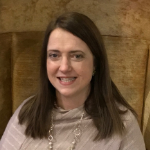 Annette has worked for several hotel groups as Sales Manager and Director of Sales & Marketing, including Hilton and Radisson Blu in Leeds until she returned to the Midlands working for Principal and The Hotel Collection. Christine works with us on a freelance basis managing some of our key Marketing Projects throughout the year. With over 30 years in the Hospitality Industry, Christine has a wealth of sales, marketing and PR experience to share with the team. Throughout her career, Christine has held a number of senior sales and marketing roles within the four and five-star market in Hotels and Venues across the UK. Her knowledge spans broadly from private elite events, luxury loyalty programmes to fundraising charities. Her knowledge of the MICE market is significant having worked with Conference Aston, Kents Hill Park and Whittlebury Hall Hotel and Spa before setting up Oomph Sales and Marketing in 2013. Over the years, Christine has been part of the Venues of Excellence consortia working on various focus groups, and in her role as Interim Marketing Manager has managed the project to rebrand Conference Centres of Excellence to Venues of Excellence. Caroline works with Venues of Excellence in the specialist area of digital marketing and PR. Caroline is delighted to be working with Venues of Excellence as part of an ongoing digital transformation project. This strategic direction will see the organisation develop its presence online to drive growth and promote industry excellence. Caroline will be responsible for the direct marketing programme, website development and PR. Caroline has over 15 years’ experience in marketing and has held senior marketing roles at National Express, Halfords and as Marketing Director for Interstate Hotels and Resorts. Skilled in brand management, marketing communications and advertising, content marketing and digital strategy, Caroline set up Imbue Marketing in 2018, a consultancy providing practical and strategic marketing support to businesses.